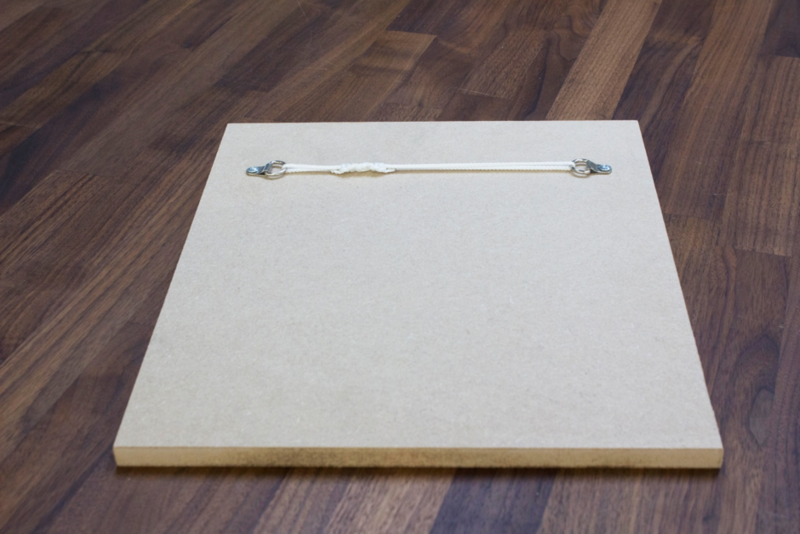 A detailed guide on hanging fixtures and fixings available for dry mounted artwork. 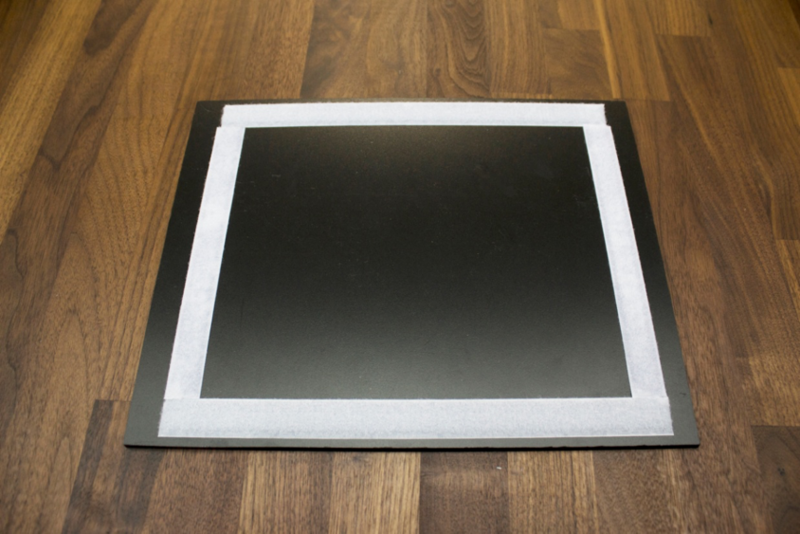 We offer a selection of mounting fixing options for you to choose from including: Velcro, Split Battens, Metal Subframes and more! 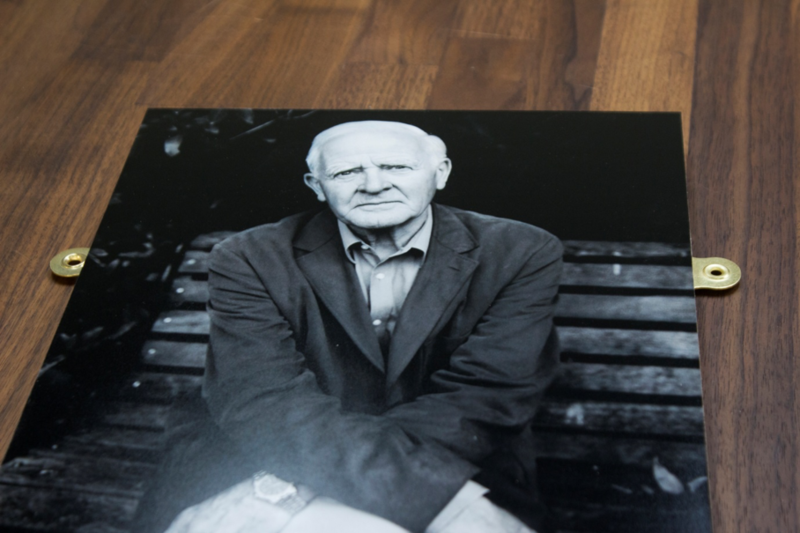 It is best to put the loop side on the back of your mounted work, as it feels much nicer to hold than the hook when handing the work and apply the hook side on the wall. 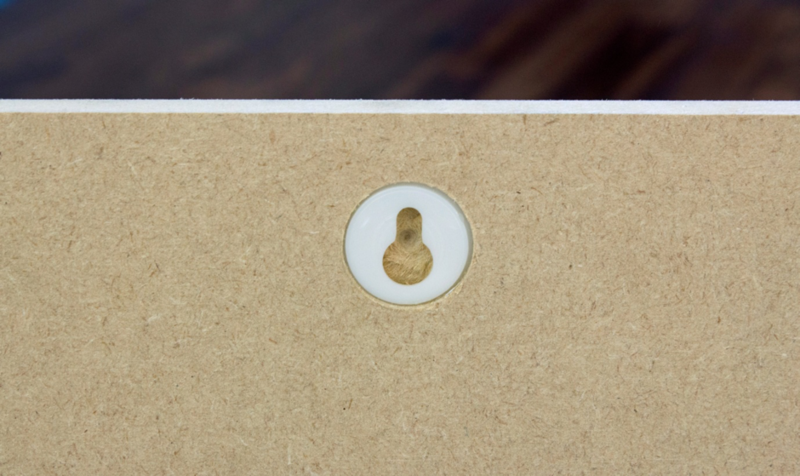 When applying the Velcro to the back of the artwork, we recommend running Velcro around the whole perimeter of the mount, 10-15mm in from the edge. 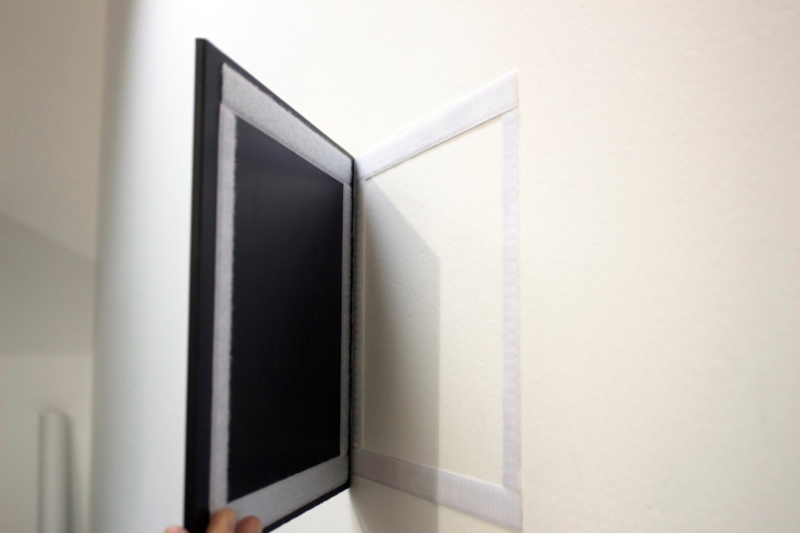 On pieces sized 24"x20" and larger, it is recommended to place an additional strip of Velcro down the middle to stop the piece bowing in towards the wall. Looking to buy velcro? At theprintspace we sell Velcro separately at £3.30 + VAT a meter or you can purchase a 25 meter roll for £40 + VAT. 2 Split Battens will be fixed to the back of your mounted work. 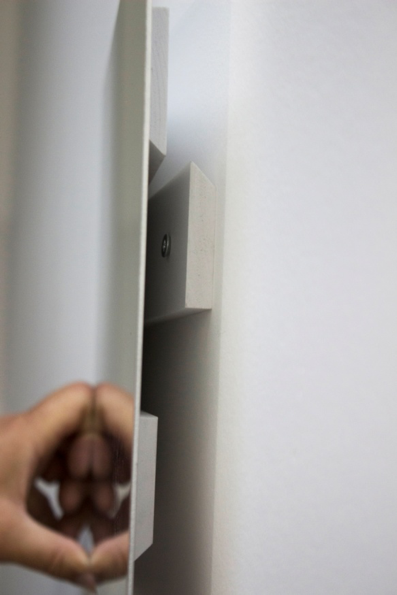 The Top Battens is used to hang the piece on the wall and the bottom Battens acts as a spacer to hold the bottom away from the wall at the same distance as the top Batten. The work floats approx 10mm away from the wall. A 3rd Battens is supplied loose, usually taped onto the back of the mount, which needs to be screwed to the wall. Once this loose wall Batten is secured to the wall and level, the top Batten on the mounted work and wall Batten simply slot together. 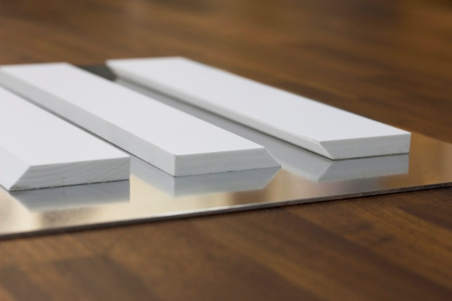 The split battens can be applied to either Dibond or Aluminium substrate, at the minimum print size print size of 10" x 8". The Metal Subframe is fixed in place on the back of the artwork. 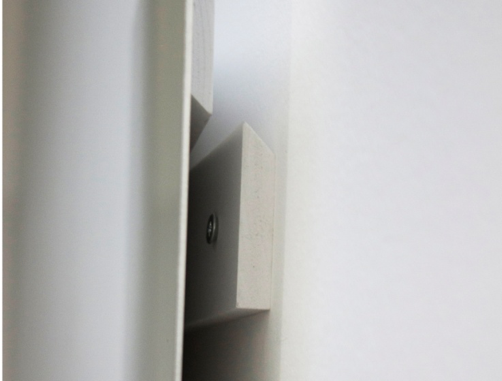 A Metal Subframe will float the work off the wall more than Split Battens, approximately 20mm away from the wall. A loose Split Batten is supplied with the Subframe to use as the wall fixing, which needs to be screwed to the wall. Once this loose wall Batten is secured to the wall and level, the top inside recess of the subframe simply slots onto the wall Batten. A subframe fixture can be attached to either the Dibond, Aluminium or the Acrylic Reverse substrate at the minimum print size print size of 10" x 8". 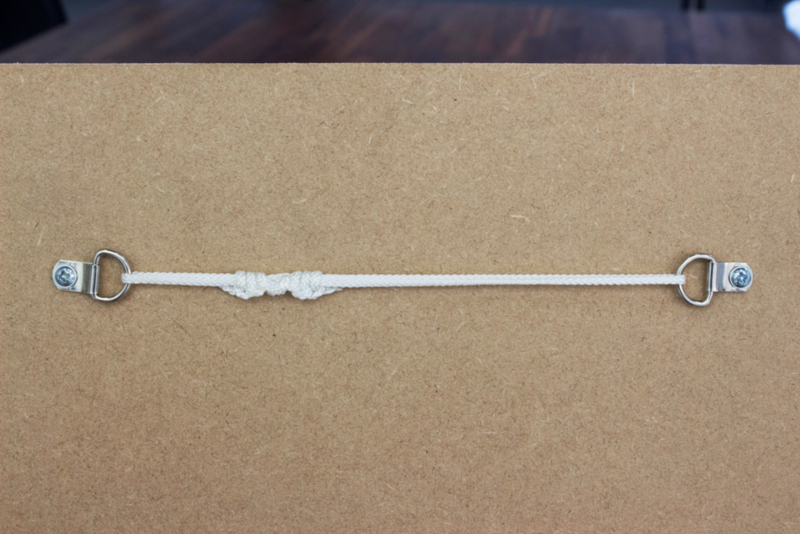 2 x D-Rings are screwed to the back of the MDF with a cord tied between them. 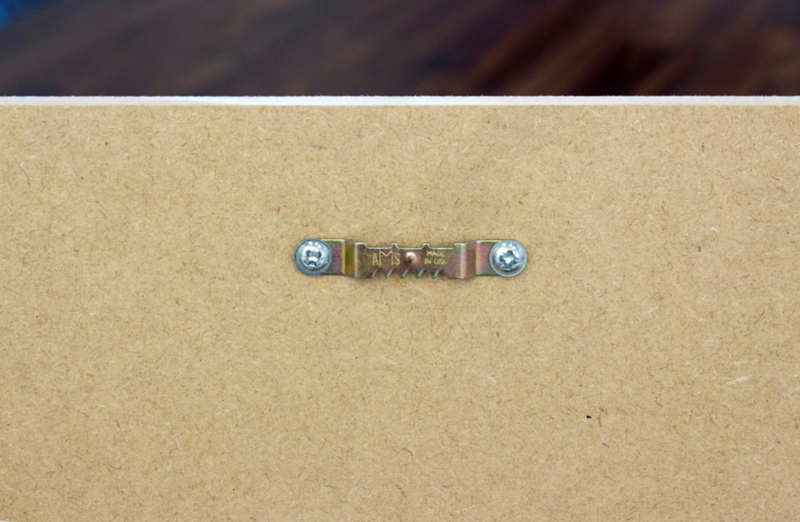 This can simply be hung on and screw head or Nail on the wall. 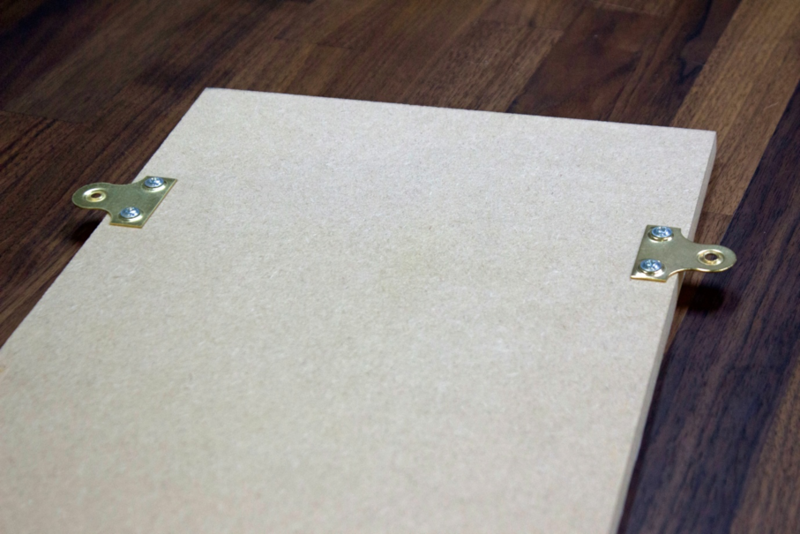 This method is only recommend for artwork up to 20x16"
A Keyhole fixing is fitted in the centre at the top of the artwork and counter sunk into the back of the MDF. 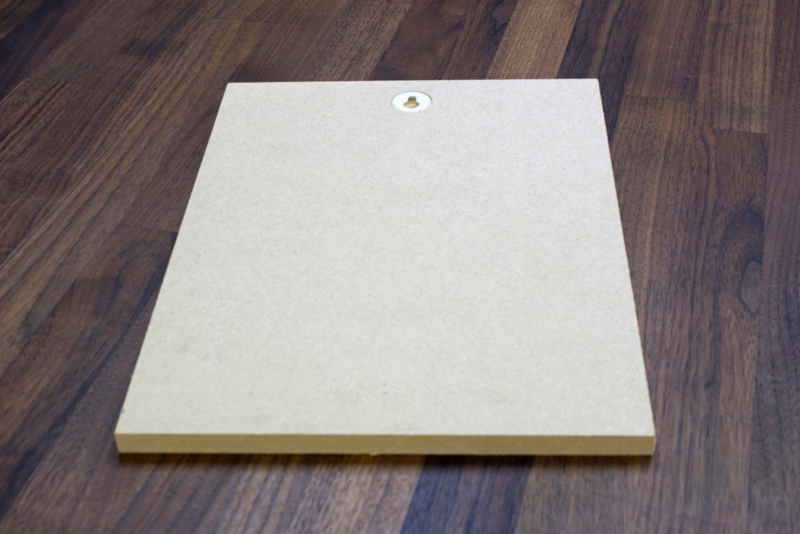 This can simply be hung on and screw head or Nail on the wall and your artwork is held flush to the wall. 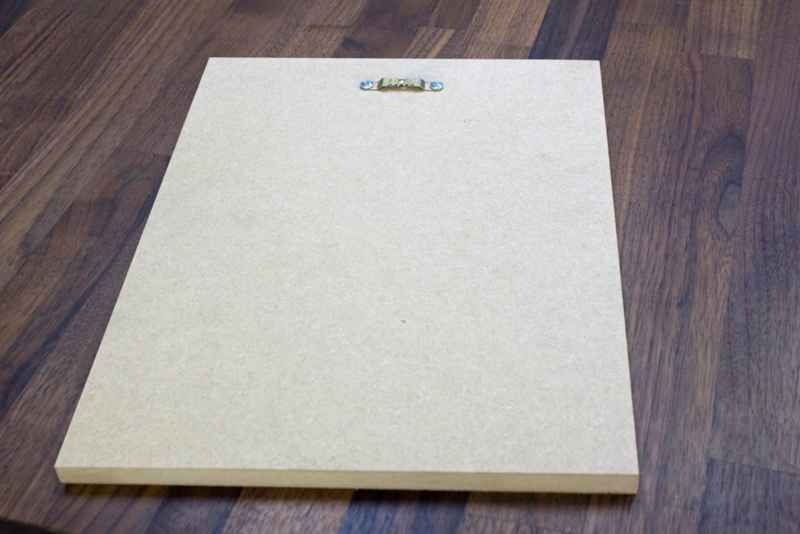 This method is recommended for artwork up to 30x20"
This can simply be hung on and screw head or Nail on the wall. 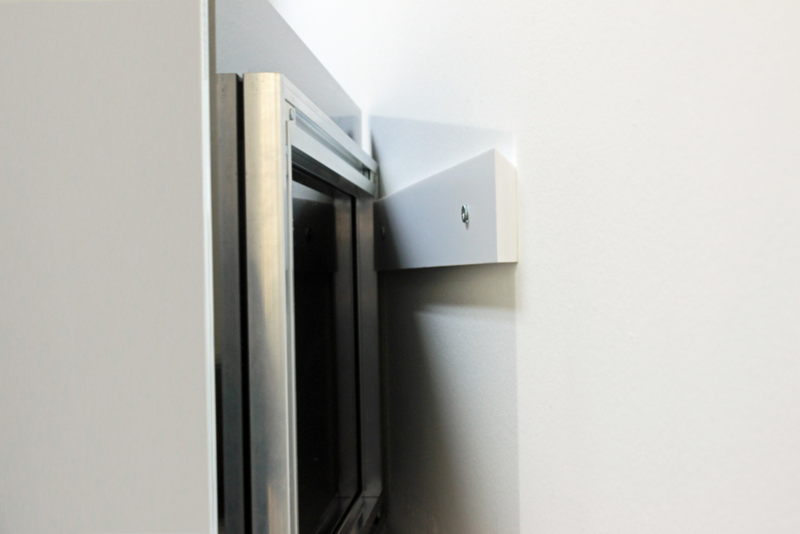 The artwork will lean away from the wall a little at the top with this method. 2 x Mirror plates are fixed to the back of the MDF, 1 each side, approximately a 3rd of the way down from the top. 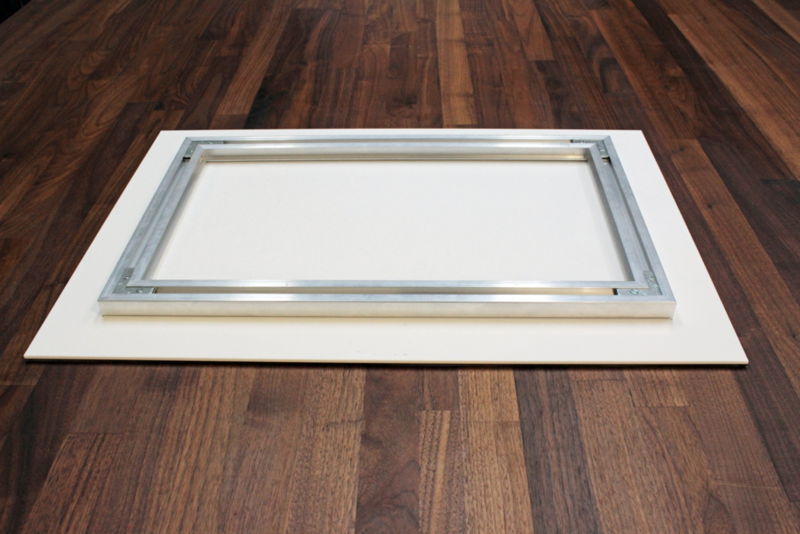 This method is recommended for artwork up to 40x50"
Mirror Plates offer the most secure hanging option, as a screw driver is required to remove it from the wall. 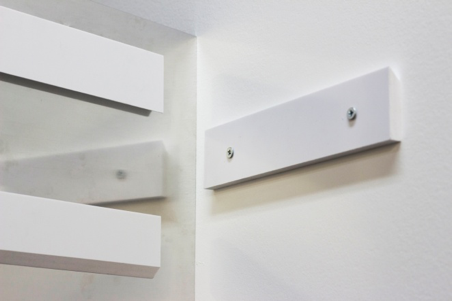 If you would like to speak to one of our team members about our hanging fixing options for dry mounted artwork, please call us today or come into the studio in Shoreditch.